At Juniata College’s Digital Media Studio (DMS), we produce high-quality, cutting edge video and multimedia materials for Juniata’s Marketing Department. The DMS develops all of the video used to tell the story of the college. Under the guidance of the Director of New Media Communication, students produce, direct, and edit animation, audio, and video pieces that are available on Juniata’s website. In addition to student workers, a student manager assists the Director of New Media Communication in the daily operations of the DMS. 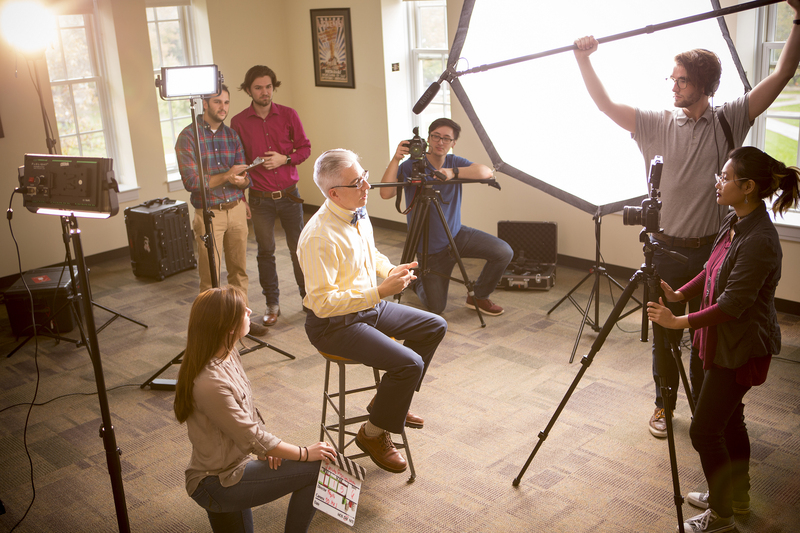 With top-tier videography equipment, professional quality software and cutting edge technology, the Digital Media Studio places Juniata College at the forefront of digital marketing in higher education. To help the DMS tell the Juniata Story, check out the "student employment" tab.